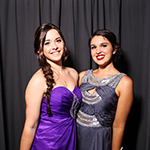 Our booths run flat out at every school formal, semi-formal, graduation, fete or special event. Students (and teachers!) just can’t get enough of the booth! It gives everyone great entertainment throughout any event and captures their school day memories at the same time. Your school may like to incorporate the booth into their fundraising or simply as a gift to students or families celebrating a special event. Whilst the booth doesn’t replace a roving event photographer, it is the perfect way to capture some amazing school-time memories. Once the formalities are complete, students will love capturing some fantastic images with their friends and be entertained at the same time. 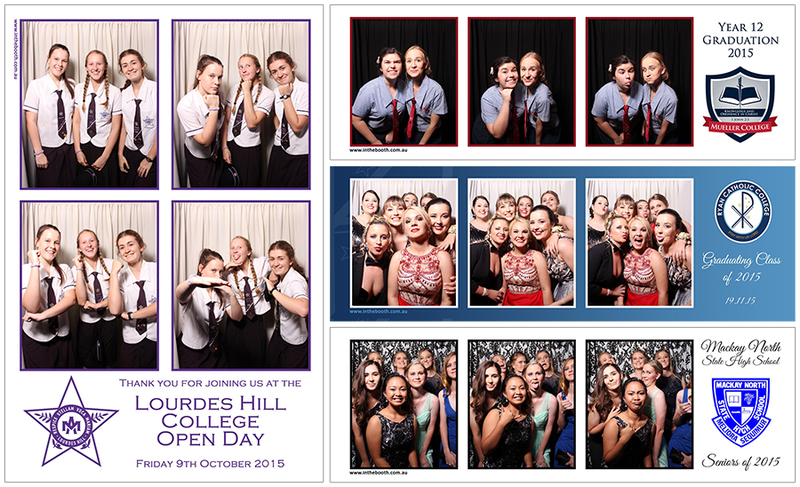 Our designer will work with you to create the ideal instant print design for your school’s function. Perhaps you have a special theme for your senior formal or a fundraising cause you would like to promote. Choose from our gorgeous range of backdrops to complement your print design as well! 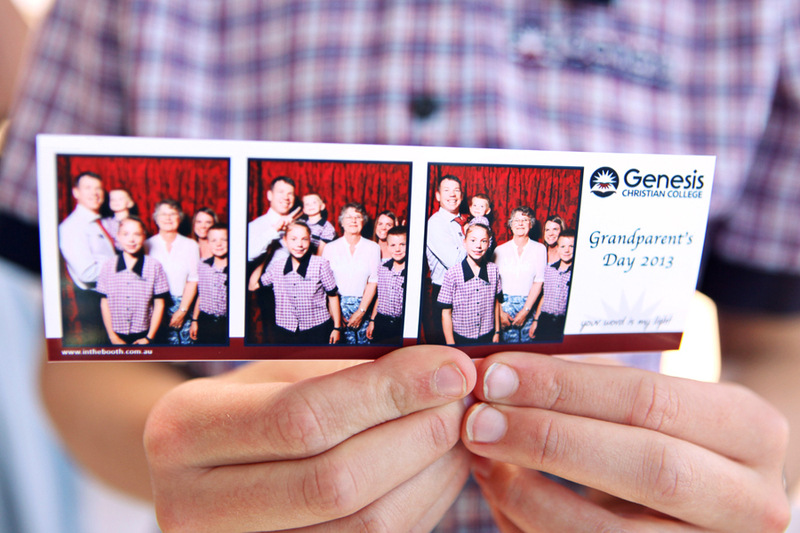 Our instant photo booth strips are the ideal keepsake and will be treasured by students, staff and parents for years to come. "Thank you very much for everything. 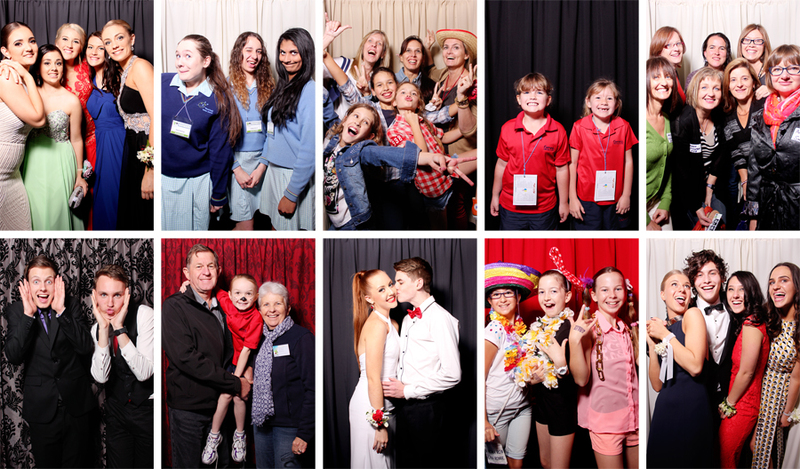 The photo booth was a HUGE hit again this year and the photos are fantastic, it’s so great to get some fun and cheeky photos and the students absolutely LOVED it (there was a line up the entire night!). There were no issues at all everything was absolutely fantastic. Thanks again!" 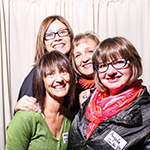 "Our 50th Community Reunion was indeed successful and the addition of the Photo Booth contributed to this significantly. On behalf of the team at Mater Christi College thanks for being involved and working with this during our milestone celebration."